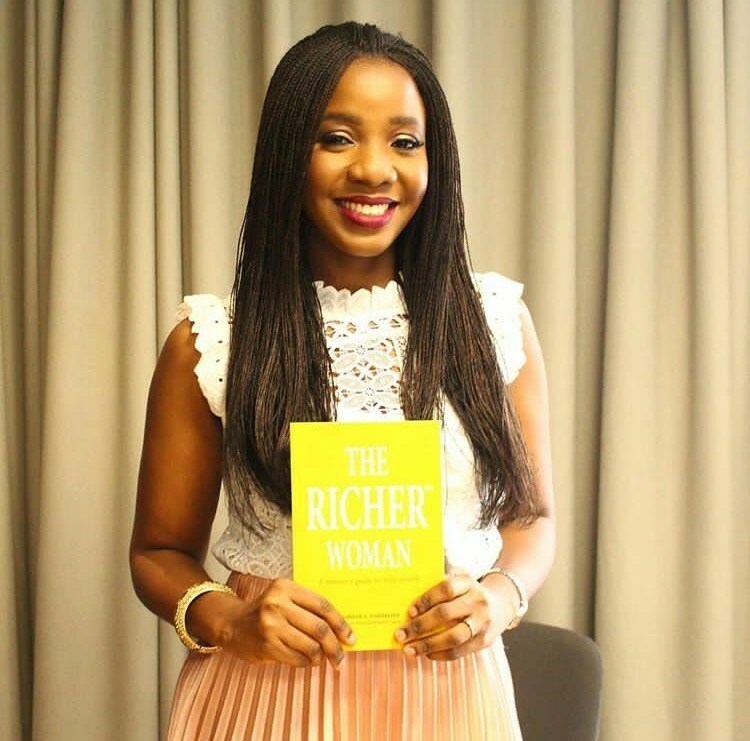 Known as the Father’s Daughter, author of ‘The Richer Woman’, Omilola Oshikoya has written to controversial OAP, Daddy Freeze on Tithing. I must, first of all, commend you for being brave enough to talk about a lot of things that a lot of people aren’t able to talk about. We have noticed some of the atrocities performed in some churches (not all) but we haven’t been bold enough to address them. Whilst I do not agree with your style and everything you say, I must applaud your boldness. As with anything in life, there is good and there is bad and you have begun to unveil some of the false teaching taught by so many and followed by so many. I agree that there are a lot of people who are worshipping money and are preaching a false doctrine. The Bible says by their fruits you shall know them. With regards to denomination, I grew up a staunch Catholic (my parents are still Catholic) and I also became Pentecostal as well but now I’d rather refer to myself as The Fathers daughter as that is what my identity is. Our identity is not based on denomination and the denomination you belong too does not determine whether you are allowed in Heaven or not. In the Catholic church there are priests who molest children and in the Vatican, there are also some corrupt leaders, the same way in the Pentecostal church there are pastors who molest their congregation mentally and sexually and also steal from them financially. This is the same with other denominations in the church as well. That being said there are also many people in all denominations that have the right heart condition and serve and love God genuinely. One thing I must also commend you for is the fact that a lot of people are now reading their Bibles and seeking a personal relationship with God. In the past, people took what their Priests or Pastors said hook line and sinker or worshipped their Priest/Pastors but man is man and even the best of man can err or be wrong. It is important that we all have a personal relationship with the Father. This is why Jesus came and this is why after he was crucified, the veil at the temple tore from top to bottom. He gave us all access into the Holy of holies. The most important thing in our journey is a personal relationship with God. In this relationship, the Father will speak to you and guide you in what you need to do and not do. Christianity is not a religion and it is not based on rules or guidelines. It is a way of life and a personal relationship with the Father. All the entire Bible and infact all of creation does is to reveal Jesus from beginning to the end. For example, the cupbearer and the baker in Josephs story reveal the sacrifice Jesus was going to pay on our behalf and this is depicted through Holy Communion. Solomon asked for wisdom and in Proverbs 8, the Bible talks about how wisdom is Jesus. David was a man after Gods’ heart and in Revelations 5: 5 and Revelations 22:16the Bible says Jesus is the Root of David. The new testament starts with the genealogy of Jesus, so in essence, the old testament is a story leading up to the birth of Jesus. The New Testament i.e. the Gospel shows the life of Jesus and the rest shows how the disciples took Him to the world and His return.